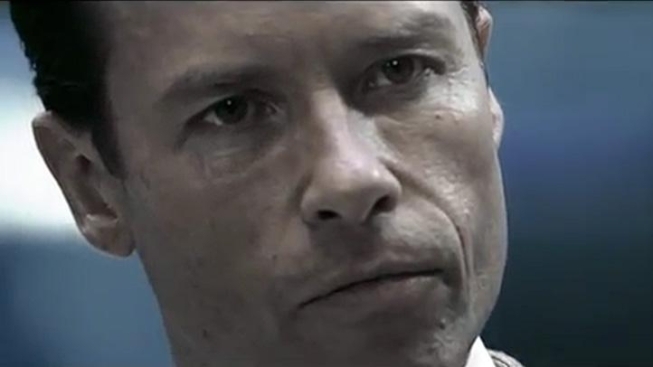 "Prometheus" Clip Features Peter Weyland Expressing His Desire to "Change the World"
Introducing Peter Weyland of "Prometheus"
Finally--a viral video the non-obsessive can enjoy. A new clip promoting Ridley Scott's "Alien" prequel, "Prometheus," as hit the tubes, and it features Guy Pearce as Peter Weyland (of the corporation Weyland-Yutani, which sent the original probe into space in "Alien" and which planned to harvest alien specimens in "Aliens") giving a TED talk in the year 2023. The whole things got a sinister, Gordon Gekko-esque vibe to it, as he discusses his vision for changing the world, a plan that includes androids indistinguishable from humans. They've gone as far as creating a fake TED website, and predictably, the humorless nerds and fanboys are out in full effect, dissecting how the speech goes against the ethos of TED (though it was done entirely with TED's blessing), how this character doesn't jibe with the Weyland family tree as laid out in "Alien vs. Predator," how silly it is to think that people will still attend speeches en masse 12 years from now... Yawn. The fact is, the clip does a great job of introducing us to a character from the film in a way that gives us a sense of his motivations and morality in a way that might stop a feature film cold, but that works great on the web. But there's even an easter egg or two if you really want to dig into it. Pearce has said his part in "Prometheus" is very small. If this is it, he pretty much crushed it. "Prometheus," starring Charlize Theron, Michael Fassbender and Noomi Rapace, opens June 8.